Three-disc set “My Name is New York” features interviews with Pete Seeger, Ramblin’ Jack Elliott, Arlo Guthrie, Woody’s friends and family. It’s the story of Woody’s 27 years living here in the city, visiting 19 historic locations – in this 3-CD set – where Woody lived and worked. In “My Name is New York” you’ll be able to hear these stories told by those who knew him best: music partners Pete Seeger, Ramblin’ Jack Elliott, Sonny Terry, and Bess Lomax Hawes, Woody’s first wife Mary Guthrie, Woody’s merchant marine buddy Jimmy Longhi, Bob Dylan, Woody’s second wife Marjorie Guthrie, Arlo Guthrie, Nora Guthrie and many others share their memories with you first-hand. What some people know about Woody Guthrie is filtered through a reputation as America’s wandering folk singer, but for 27 years New York City was the place he called home. 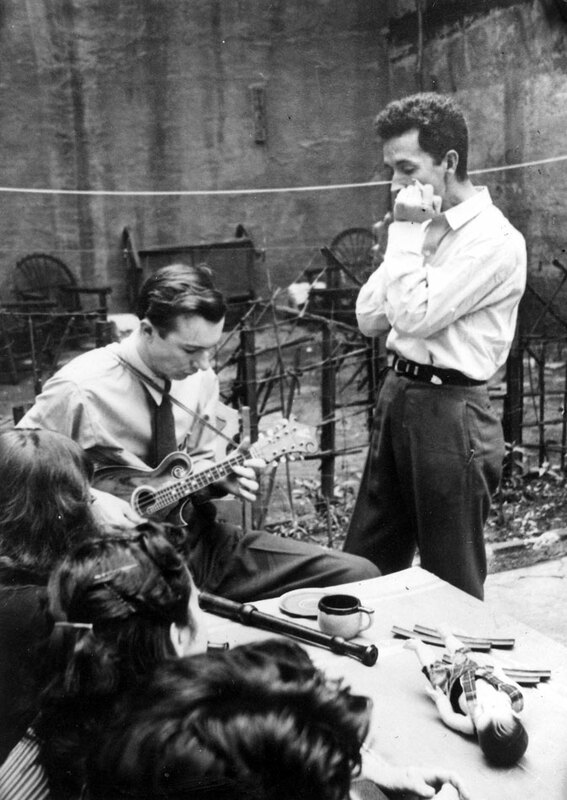 His career is almost inseparable from the city: Woody Guthrie wrote over 600 songs here – including “This Land Is Your Land,” “Tom Joad,” and “Hard Travelin’” – and raised his family in a variety of locations around Manhattan, Queens, and Brooklyn. To celebrate the indelible influence this city had on Woody’s career, on September 23 Woody Guthrie Publications is releasing ‘My Name Is New York; Ramblin’ Around Woody Guthrie’s Town’ a three-disc collection that offers an intimate portrait of Woody’s NYC life through storytelling and music. 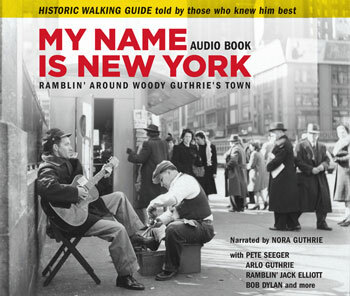 Produced by Steve Rosenthal, Michael Kleff and Woody’s daughter Nora Guthrie, ‘My Name is New York’ presents two discs of an audio tour and stories that contextualize Woody’s New York with new interviews, song snippets and a history narrated by Nora, plus a third disc of music, including some never heard before. 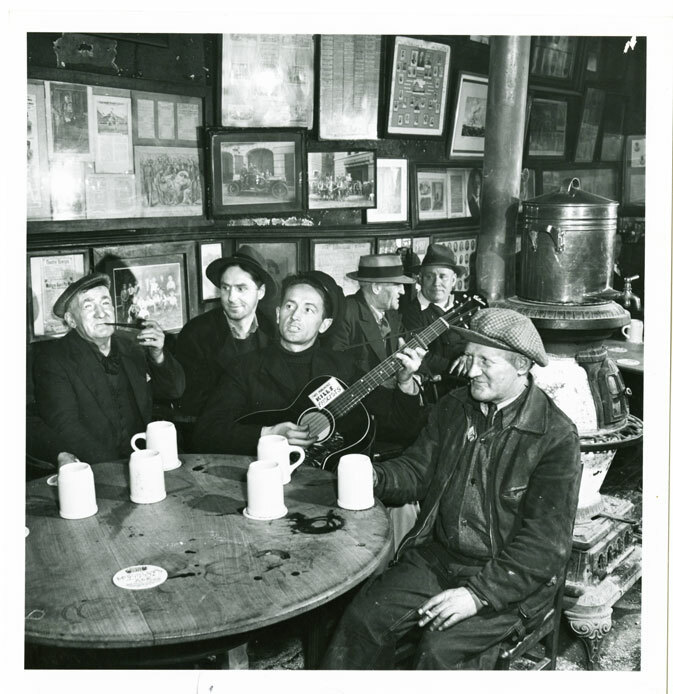 Featuring new interviews with luminaries like Pete Seeger (in one of his final interviews), Woody’s son Arlo Guthrie, and Ramblin’ Jack Elliott, as well as with Woody’s many other friends and family, the first two discs take listeners on a virtual tour of the city as Woody experienced it through visits to 19 locations. They include the boarding house on 43rd Street where “This Land Is Your Land” was written; the Greenwich Village apartment that The Almanac Singers — an all-star folk collective included Guthrie, Seeger, Lead Belly and Josh White – called home; and his home on Coney Island, where Woody tirelessly composed over 100 songs, and was eventually laid to rest. 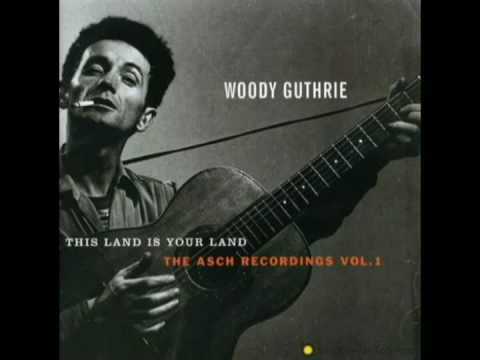 The collection also includes a bonus music disc featuring an array of Guthrie’s NYC songs, including the first recording of “This Land Is Your Land”; two previously unreleased home demos he recorded in the city, including the song that gave the set its name and a duet with Sonny Terry; and five premieres of previously unpublished lyrics from a variety of artists, from contemporaries to younger musicians following in his tradition. SOFIA VERGARA: COOKING DINNER FOR HER JOE? Why Did An Idaho Lawmaker Yell At Students Who Wanted To Discuss A Birth Control Bill? Vito Schnabel: Taking Heidi Klum For Granted?